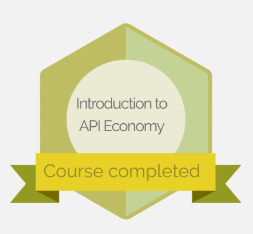 Introduction to API Economy is an academic online course as a companion to the API Economy 101 book. The course is available from Jan 15th, 2019 until end of 2019 and it's self-paced. The course is brought to you by Tampere University (TAU) from Finland and Osaango, an API Economy training and consultancy company. The course is 1 ECTS (European system, 23-25 hours of work). You can enroll on this course for FREE on the course site. Buy this Certificate of Achievement only if you do not get the course assessed from your university or you are a professional outside academia. Tampere University in Finland provides an open university credit system for those who have passed the criteria for the Certificate of Achievement. There is an extra cost of 15 € for the University registered credit. When you buy this certification of achievement, you are entitled to a 30 minute online Q&A and feedback session plus the certification. You will receive email with instructions upon purchase. You have until the end of 2019 to finish the course.